Education for Women in the Reformation: My Brain Wears Man Pants! One of the questions that historians who research women’s contributions to the Reformation wrestle with is, search Where have the documents gone? Prominent women who published like Argula von Grumbach had nearly 30,000 copies of her works in circulation and yet today there is no original manuscript copy to be found. Was it because they were deliberately destroyed? Were they just thrown away as trash? Now it’s true that part of the dearth of documents can be because of wars and other unfortunate circumstances. Olimpia Morata’s personal collection and most of her writings were destroyed during the siege of Schweinfurt. But, at the same time, there appears to be evidence of deliberate destroying of documents. The city council of Geneva ordered that all copies of Marie Dentière’s “The Epistle to Marguerite de Navarre” be confiscated and destroyed. Her husband went before the city council and pleaded that the copies of his wife’s work be returned, and they refused. Thankfully, due to his quick thinking, several hundred copies of her letter were rescued from the printing shop before the city council could arrive to confiscate them. The writings of Marie Dentière led to the city council of Geneva tightening up their rules regarding publication, including the stipulation that all documents being published had to be first approved by city council. Another factor was that the women who published had to be a) well connected, probably of some political prominence and b) have sizeable financial resources as publishing was an expensive endeavour. And lastly, the writings of women were not considered to be valuable. As such, unpublished works, diaries, letters, hymns and devotionals were often just discarded rather than preserved for historical value. Dentière, Marie. Epistle to Marguerite De Navarre and Preface to a Sermon by John Calvin. Edited by Mary McKinley. Chicago: The University of Chicago Press, 2004. Matheson, Peter. 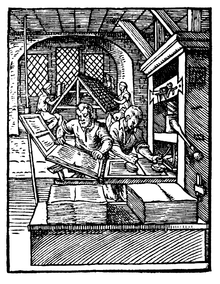 “Breaking the Silence: Women, Censorship, and the Reformation.” Sixteenth Century Journal XXVII (1996): 97–109. Stjerna, Kirsi. Women and the Reformation. Oxford: Blackwell Publishers, 2009. Weisner, Merry. “Women’s Response to the Reformation” in The German People and The Reformation Edited by R. Po-Chia Hsia. Cornell University Press, 1988.